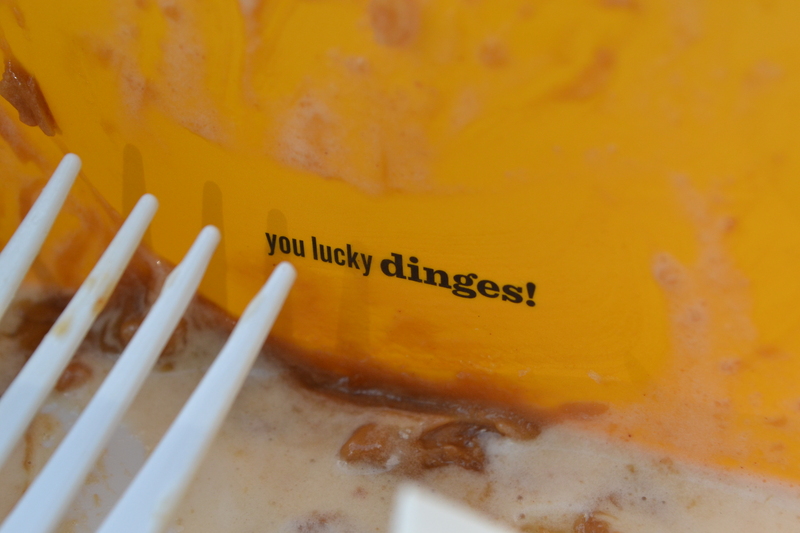 It’s been six years since Wafels & Dinges was founded. I missed it every time I was in town──either their food trucks were nowhere near me or I was standing right in front of a waffle truck while being way too full to have even one bite. 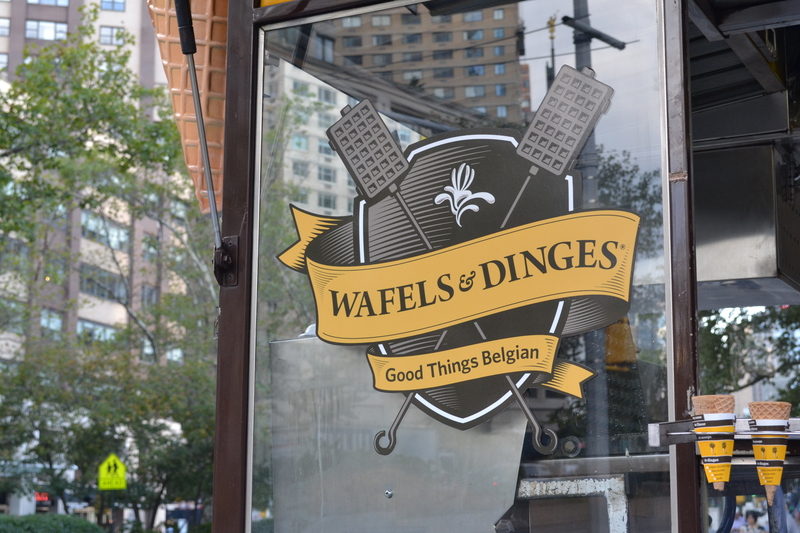 When I saw the Wafels & Dinges truck across the street from Lincoln Center right after we checked in, my eyes widened with sparkles just like when the Ice Age saber-toothed squirrel sees an acorn. What a lucky start of our trip! 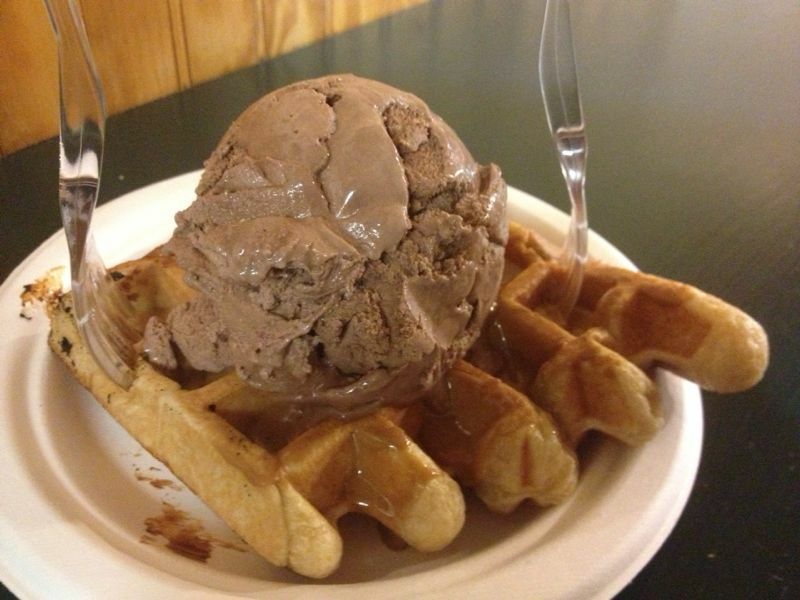 At Waffalonia, the best combination is a Liege waffle with Speculoos/Biscoff spread and chocolate ice cream from Dave and Andy’s. Their cinnamon ice cream is good for cinnamon lovers. I was first introduced to the spectacular wonderland of Speculoos spread at Waffallonia in Squirrel Hill of Pittsburgh. Speculoos is a spiced shortcrust biscuit with various versions in the Netherlands, Belgium, France and Germany. I’ve had the cookies on different airlines. It’s also made into a spread with a peanut butter texture. 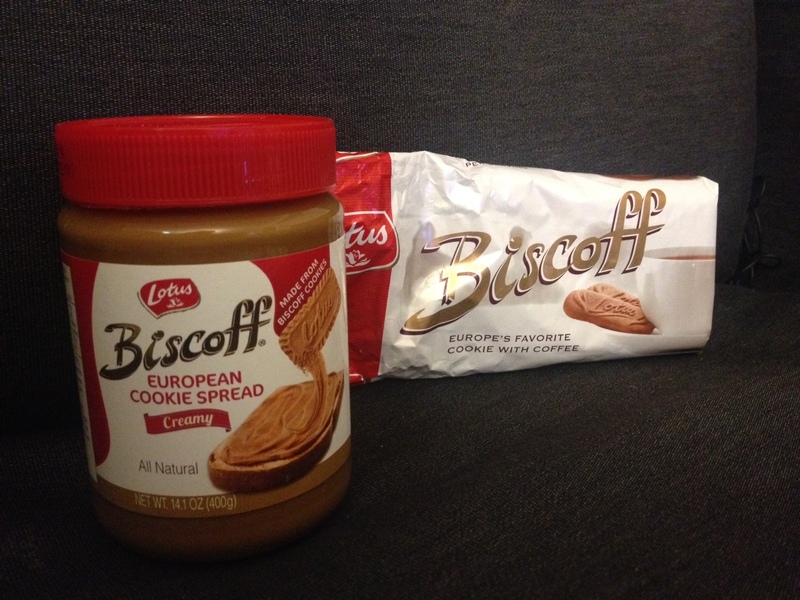 In the U.S. and some other countries, Speculoos is called Biscoff. Speculoos spread makes everything better! I make my cheesecake with it by mixing up half graham cookies and half Biscoff cookies for the crust and drizzling melted Speculoos spread on top. It’s amazing! Meringue cookies are good with Speculoos too. Waffalonia in Squirrel Hill used to be AMAZING when it just opened in 2011. Now their dough is not as good as before. The dough used to be more chewy and flaky with lots of Belgium pearl sugar inside and caramelized on the surface. 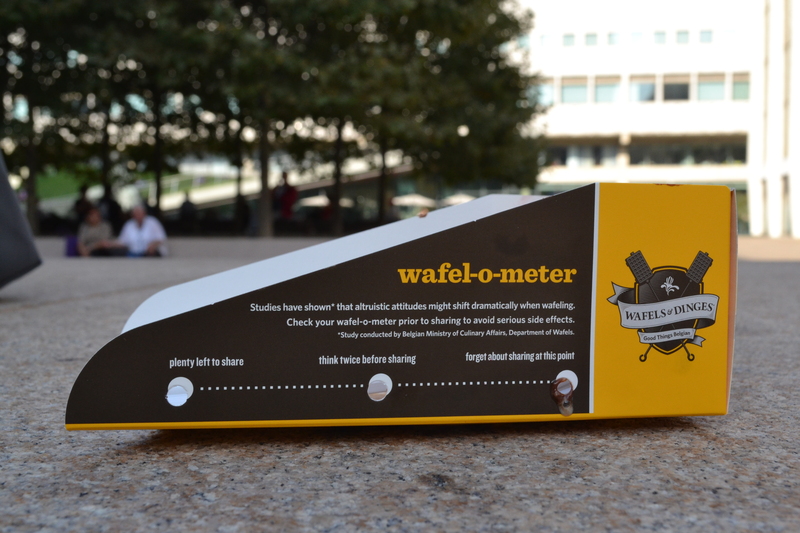 Those are the features that make Leige waffles perfect. I still go to this place sometimes after I realized how difficult it was to make Liege waffles at home without a stand mixer. 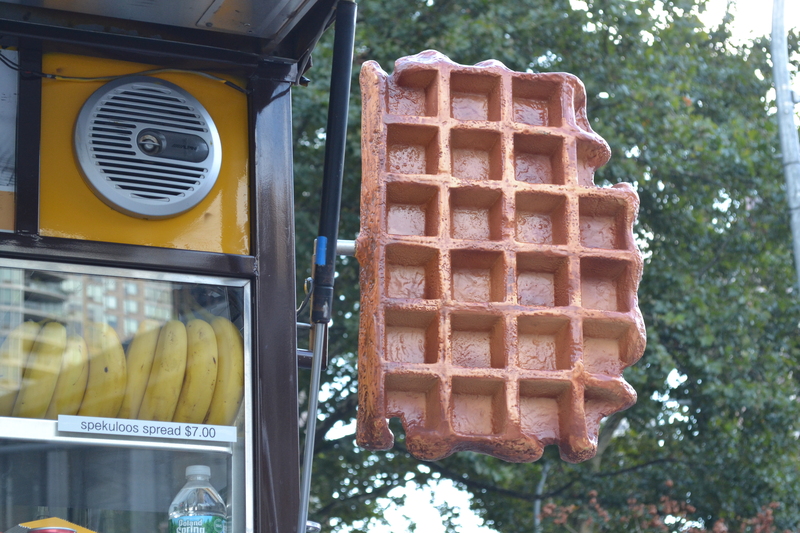 Starting with one food truck, Wafels & Dinges in New York City now owns a few food trucks and stands. It offers Brussels and Liege waffles. More toppings are available now to accommodate American flavors, such as chicken and waffle or Thanksgiving turkey version. We have an ambitious plan of eating non-stop in East Village, following Anthony Bourdain’s recommendations, so we ordered one Liege waffle with Speculoos ice cream and Nutella spread to share. The ice cream came in two gigantic scoops! You can see chunks of Speculoos dough in it. These waffles may no be the best you would ever had because the texture is probably compromised from sitting in a food truck. However, it does have the flaky inside with a caramelized surface. Honestly, Waffallonia at its beginning stage probably beats Wafels and Dinges for the amount of chunky and caramelized pearl sugar, the freshness, and the flaky layers of the dough. 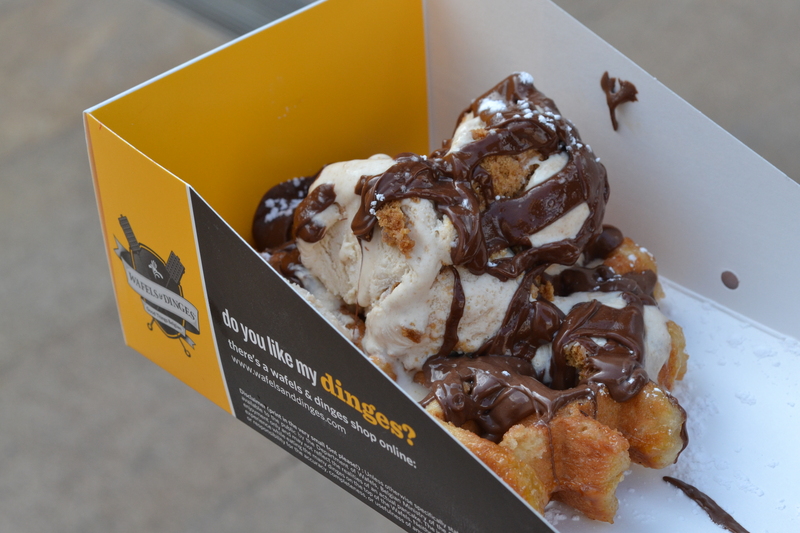 Compared to the quality of Waffalonia now, Wafels & Dinges is wayyyy better! Waffle awesomeness trumped my reason. I talked my sister into getting another one to share. In hindsight, that was a bad call, yet very sweet and happy and dreamy. My stomach did not have any room for my ideal East Village night market style itinerary after the second waffle. 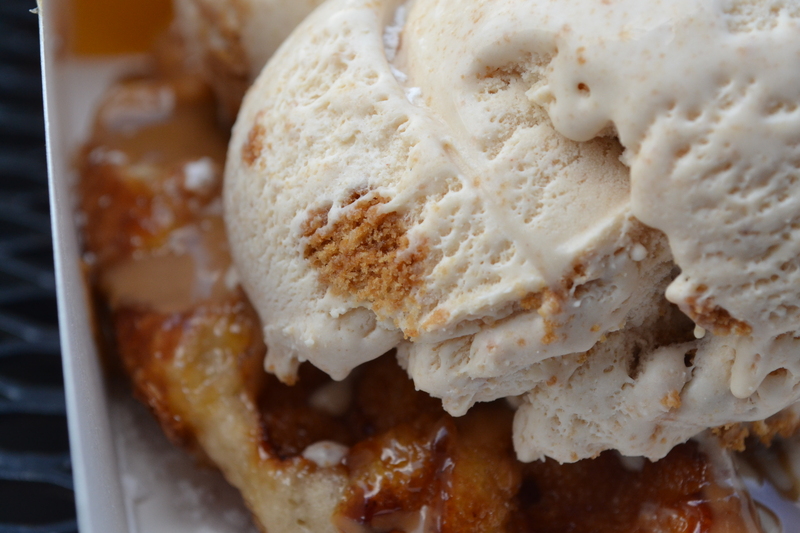 We ordered another Liege waffle──this time with Speculoos spread and Speculoos ice cream. I concluded that some Nutella was still necessary. 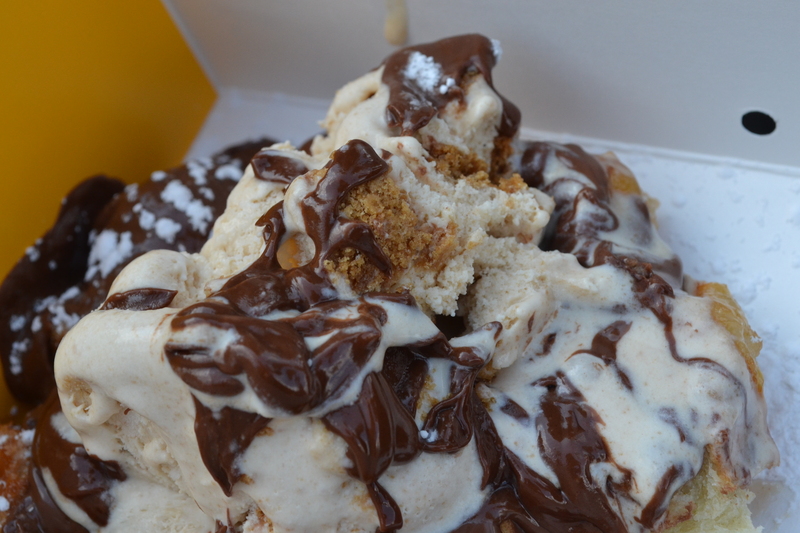 The best combination would be a Liege waffle with Speculoos ice cream and both Speculoos spread and Nutella. If you have a stand mixer and lots of passion for Liege waffles, definitely try to make it at home. 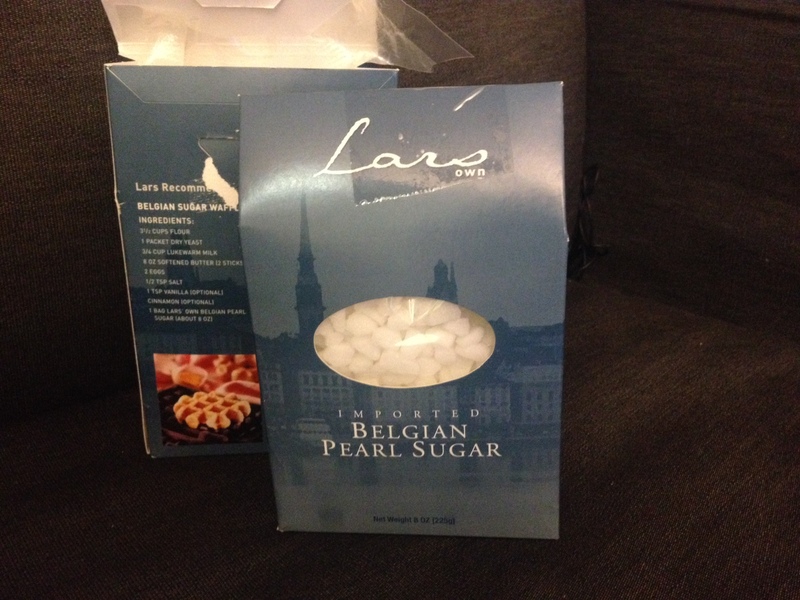 Only time and efforts──and lots of pearl sugar──give you the best Liege waffle. This recipe seems very legit. I tried it once. The dough turned too stiff for me to mix. I did not follow through all the steps but the waffles still turned out very good. 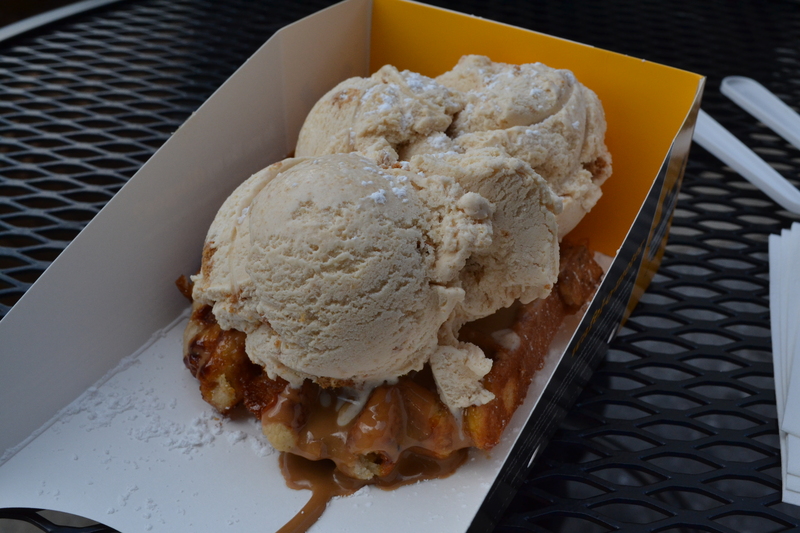 If for some reason you can’t make it at home, Wafels & Dinges may be as good as it can get in the States.